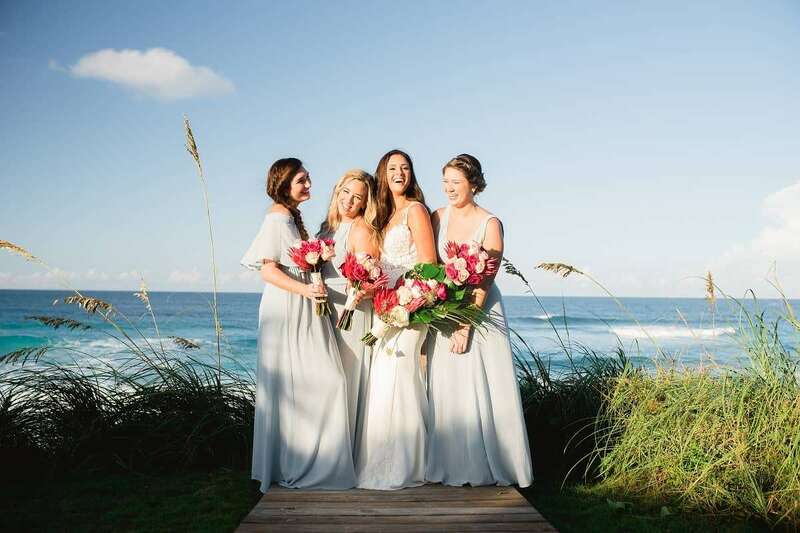 A Guana Cay Abaco wedding for close family and friends was Taylor and Jan’s biggest wish. This sweet couple are frequent visitor to the Abacos and Bahamas for years. 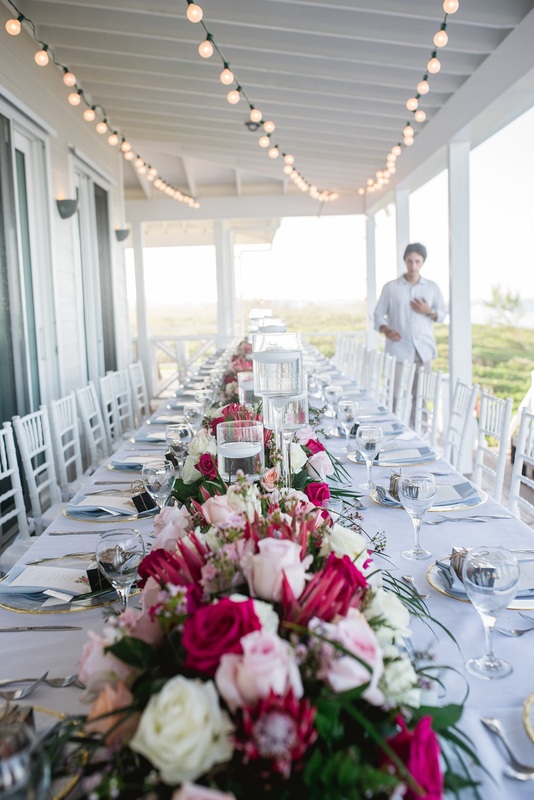 So, it was a natural to tie the knot at a favourite spot – Guana Cay. First of all, as we started the planning process, was a pre-wedding site visit where I met with the couple and their parents. 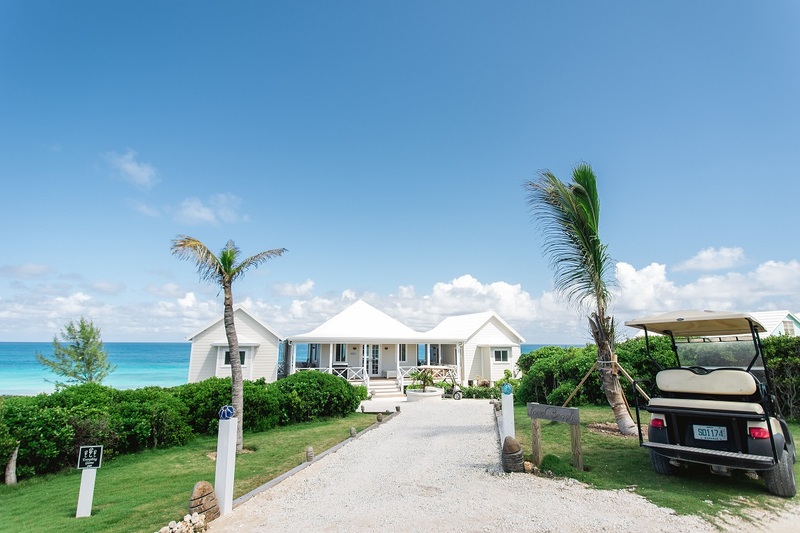 In addition to the Guana Cay location, the bride and groom chose a private holiday house on the beach – Love Beach House for their wedding. Jan’s relatives travelled from Brazil to celebrate with the couple. Taylor and Jan were married at a 4 p.m. garden wedding on Saturday, October 7, 2017. 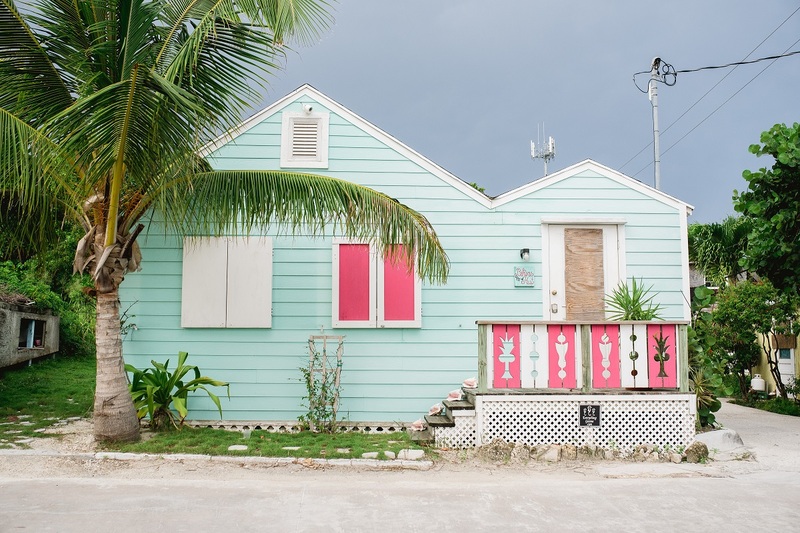 Love Beach House, Guana Cay – Bahamas wedding location. 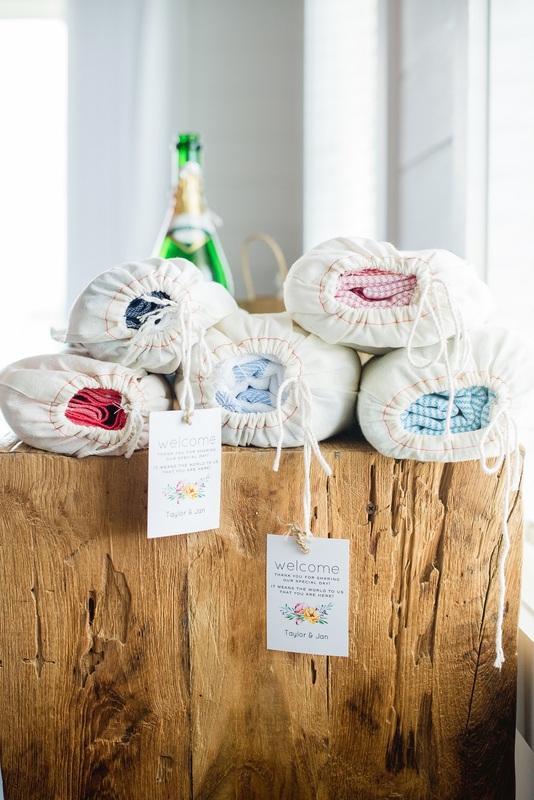 Guests welcome bags included colorful Turkish towels. 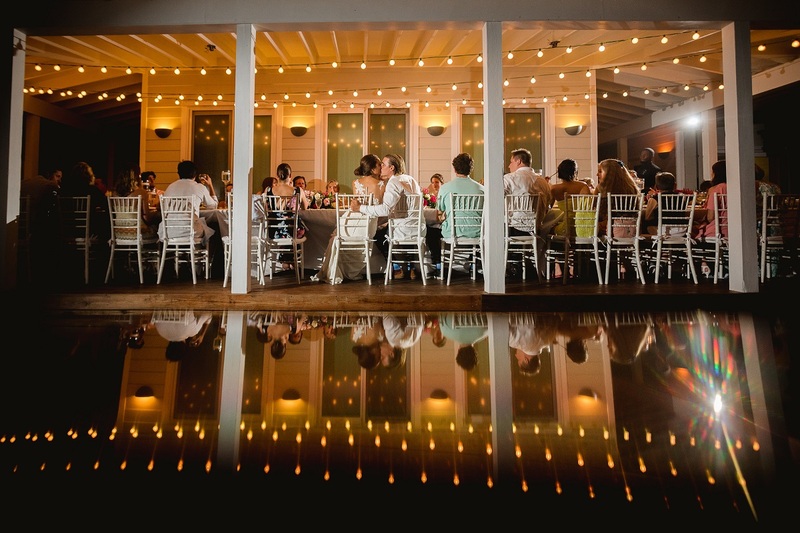 The local color of Guana Cay provides a whimsical backdrop to any destination wedding. 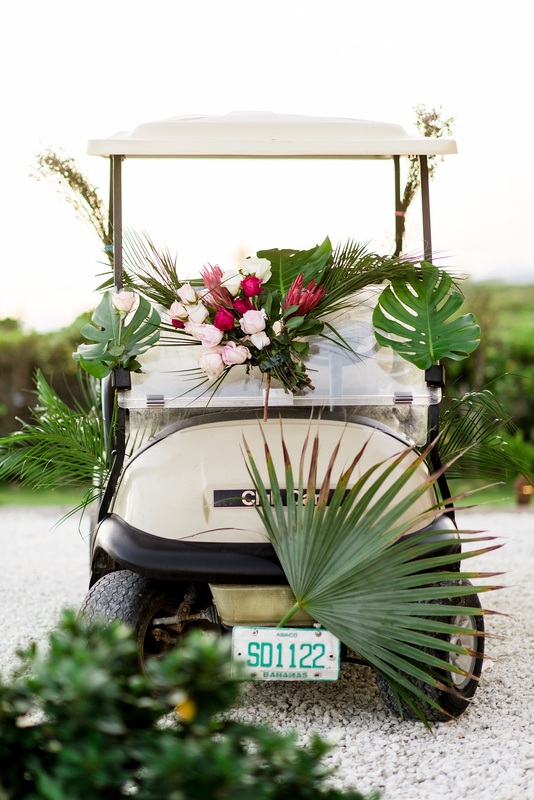 This is how we do weddings in the Bahamas! 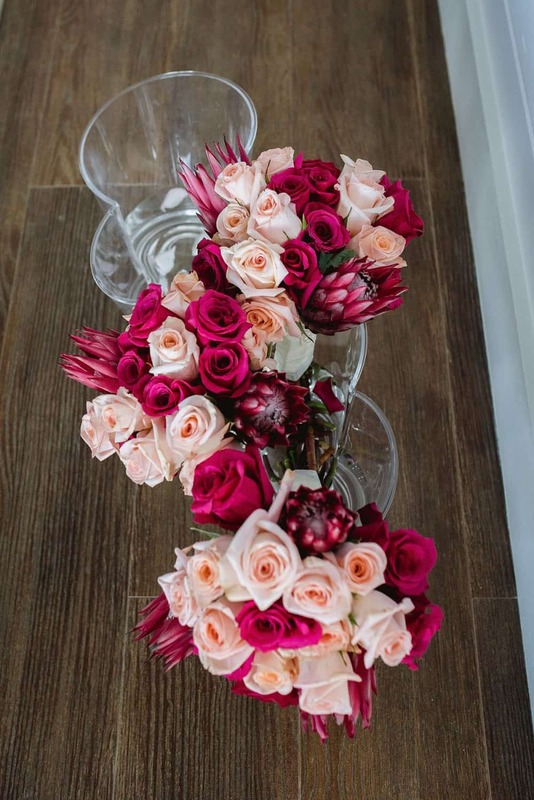 The bride chose a palette of peachy pink and deep magenta roses accentuated by stunning protea. 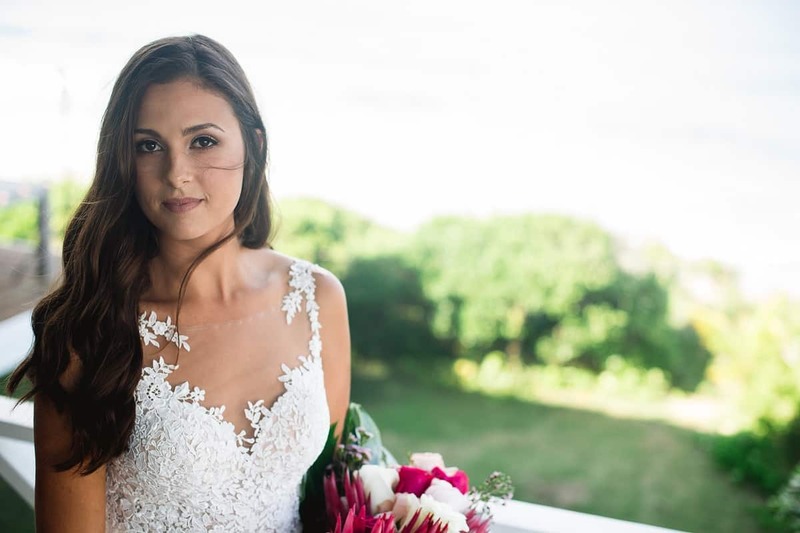 Our gorgeous bride on her wedding day in Guana Cay, Abaco. Also important to the bride were food and flowers. Both were stunning. 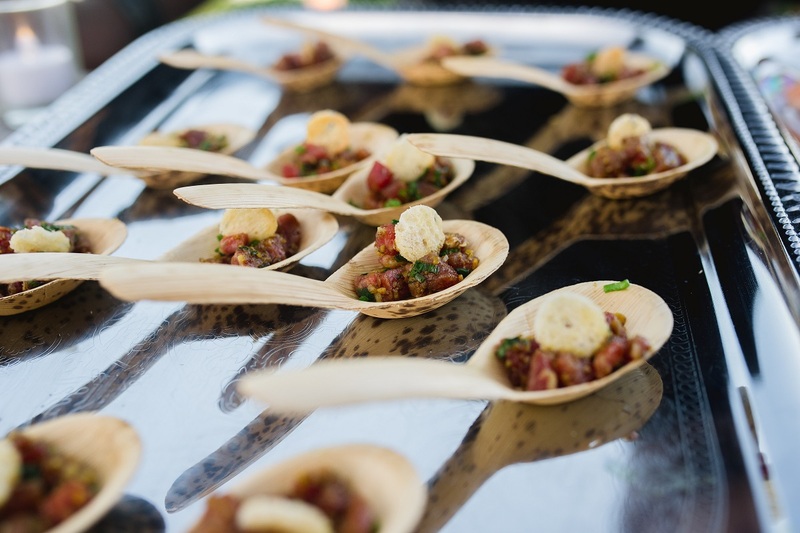 Chef Tim Tibbitts and his team created a gourmet four-course meal. Guitarist Stone McEwan entertained guests and kept them dancing throughout the evening. Wedding party goals! Taylor and her lovely sisters. Preparations for a feasting table-style reception. If you dream it, we can put it together for you! Gourmet bites for cocktail hour! Parting shot of another wonderful destination wedding in the Bahamas. Engagement season is upon us. If you like what you see, please contact us for more information about planning and designing your dream Bahamas wedding! All photos by Abaco Bahamas wedding photographer Lyndah Wells Photography. Hair by Evan and makeup by Jennifer Enriquez. Wedding cake by Sally’s Sweet Sensation. Chic Bahamas Weddings is happy to plan your wedding on an island in the Bahamas. Contact us today.